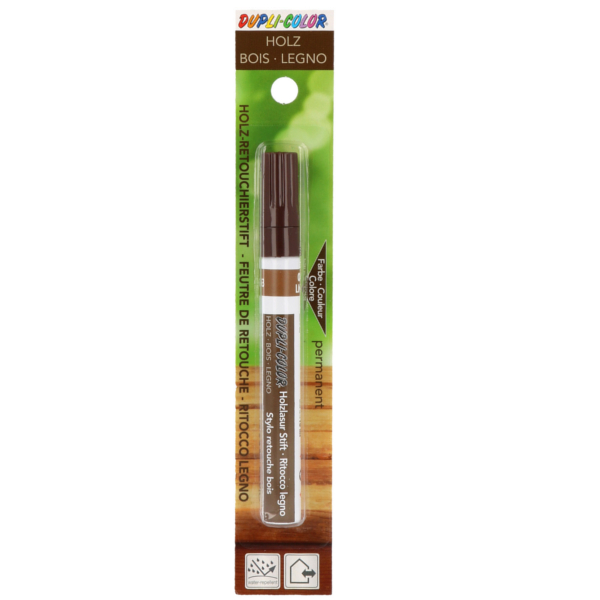 DUPLI-COLOR Wood Marker Pencils are ideal to repair the colour of paint damages, e.g. on facades, doors, windows, floors, garden furniture etc. 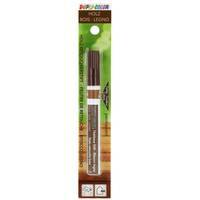 Suitable for use on wood, plastic, cardboard, iron, glass. Not compatible with polystyrene! Shake the marker without removing the cap. Remove the cap, press the tip several times until it has soaked in the paint. Apply on the affected part. The activation should not be done on the substrate you wish to be retouched to prevent excessive leakage of colour (colour may make stains on the surface). We recommend not to keep the tip pressed during use. The paint has a high coverage, you can write on all kinds of dark surfaces.